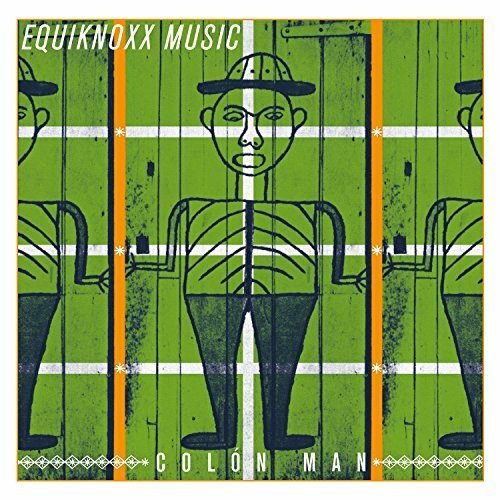 The Kingston-based production crew Equiknoxx is back with a new album, Colón Man. The Jamaican musicians build their own cast of experimentation to form a music that combines noise and music in ways we haven’t heard before. Gavin “Gavsborg” Blair, the Kingston-based producer and center of the Equiknoxx sound, describes Colón Man as, “an album of many coequals, like a polyhedron.” The name of the album has historical inspiration, drawing from Jamaican workers who were instrumental in building the Panama Canal in the late nineteenth / early twentieth centuries, and would return home with coin. Equiknoxx has strong elements from the spirit of dancehall, with their shifting, fluid, adaptive, and malleable music that transcend the normal. The album is a mesmerizing blend of experimental sensibilities and riddims; that’s the short of it! Colón Man comprises music that is perfect for when you’re in the mood for exploration and suspense, but nothing that is to dense with notes or complex rhythms. With hip ambient world beats and just a hint of jungle colors and sounds, the music is always a journey. The songs are easy to get lost in, whether the music is a soundtrack to an activity or a beat to shake the money maker on the dance floor, there is always an unavoidable pulse of sensuality and joy. Equiknoxx continues to bring their madman experimentation to create sounds that treat us to delightful music that combines the best of electronic, Caribbean and Reggae with the hippest riddims. The duo has hit a new high note with Colón Man, bringing us new riddims we never knew we were missing. The beats are fluid and complimented by composed noises that create a balance of aligned and askew sounds.